Babcock International Group is a leading international provider of through-life services to the airport environment. We partner with our customers on airport solutions that increase efficiency and deliver cost savings without compromising performance. Our track record demonstrates significant long-term benefits for customers that include London Heathrow Airport, Amsterdam Airport Schiphol, Sao Paolo Guarulhos, Qantas, Alitalia and British Airways. Babcock delivers integrated baggage systems right from the check-in to the baggage reclaim. We combine our strengths in engineering, project management and specialist control systems to ensure tight project control, a seamless transition, waste reduction and optimum performance from day one. Babcock improves end-to-end management for optimum performance in complex baggage handling systems from design, installation and upgrades through to major airport projects. Babcock provides through-life asset management of over 17,000 assets to deliver optimized vehicle and asset fleets with high levels of reliability and availability, and a typical cost reduction of 10 -15%. Babcock delivers technical expertise in designing, building and installing data integration systems, reducing complexity and duplication. We ensure that operators are able to process passengers in the minimum time and cost. BAM delivers high quality, sustainable building and infrastructure. We place our customers' requirements at the heart of our approach to ensure we provide the best outcomes for all stakeholders across the asset lifecycle. BAM is a market leader in the use of digital such as BIM, 3D printing and DFMA and foster a culture of continuous improvement, to make certain that our customers can benefit from the latest innovations and ideas. We undertake aviation schemes in the UK and overseas helping to transform the passenger experience and deliver facilities that provide greater performance, certainty and flexibility. Bechtel is one of the most respected global engineering, construction, and project management companies. Together with our customers, we deliver landmark projects that foster long-term progress and economic growth. Since 1898, we've completed more than 25,000 extraordinary projects in 160 countries on all seven continents. Our company and our culture are built on more than a century of leadership, and a relentless adherence to our values, the core of which are safety, quality, ethics, and integrity. These values are what we believe, what we expect, what we deliver, and what we live. Design and manufacture of standing seam roof systems and facades. Using industry leading technology and 3D design solutions, BEMO offers a complete engineered package for the metal envelope. We work closely with major architects and engineers to create the most appropriate solutions for any project, while providing relevant detailing and calculations. CPC is an independent, result-driven programme and project management consultancy. With over 25 years' experience in the transport industry, we provide technical advisory and project services to support strategic, infrastructure and capital development programmes. We complement these with management consultancy services including business cases, lean thinking and organisational change to transform performance and service delivery; eliminate waste; and realise efficiencies. CPC is wholly owned by its partners, has a network of seven office hubs across the UK, and over 180 employees. In 2018, CPC was ranked the 9th largest project management consultancy in the UK, and was a finalist for the APM's Project Management Consultancy of the Year. Fenwick Elliott is the UK's largest law firm specialising in construction and energy law. We advsie on every aspect of the construction process from inception through building to completion and operation. We understand construction and energy projects; how they are managed; where problems occur; and the underlying commercial imperatives. We use this insight to add value to transactions and resolve disputes for clients in the UK and around the world. Our expertise covers procurement strategies, contract documentation, project advice, dispute avoidance and dispute resolution. We provide stategic guidance to forestall potential problems throughout a project. Founded in 1998, Firstco are control and communication systems engineers, specialising in the transportation sector. Working predominately in airports, railways and intermodal operations our clients include infrastructure owners, operators, engineering consultancies, construction contractors and systems solution providers. Our experience includes the technologies and solutions commonly grouped as Communications, Security, Operational and Control & Monitoring systems, and often referred to as IT, ICT, SAS or ELV systems. Based in London, we now employ over 80 staff and work extensively across the UK. We have grown into an international consultancy and system integrator with projects in Europe, Middle East and Africa, and we are currently exploring expansion into Asia and America. As systems engineers we work throughout the asset lifecycle; consulting, delivering and supporting the growing number of technologies used to automate operational people and process. Working from strategy to operations, Firstco specify, design, deliver, commission, integrate, trial, transition, support and maintain systems. We also specialise in stakeholder, interface, requirements and assurance management which are an increasingly complex and critical part of any infrastructure programme. By remaining product-independent, we can help our customers to select the right solutions then ensure that they are configured to achieve effective and efficient operations. Our Technical Innovation Group work with emerging technologies and solution/product suppliers to identify opportunities and business benefits for introducing new solutions into high integrity environments. A modern airport will have more than 150 systems with constantly developing and converging technologies, which are critical to safety, security and operation. In the world of ‘big data’, airport operators require increasing interoperability to efficiently manage their sites, and their stakeholders, regulators and passengers expect and demand easy access to a greater level of real-time data. However, with increasing global security issues and the advent of cyber threats, the need for secure, robust and resilient solutions has never been greater. As existing airports continue to expand and new airports are constructed, it is imperative that the technology systems are considered from the outset and delivered as an integral part of the overall programme. The prerequisites and interfaces with the architecture, civil engineering, baggage and M&E solutions must be managed throughout to avoid costly delays at the point when the project hands over into the live operational environment. Firstco’s broad experience over all these technologies, and throughout the entire asset lifecycle allows for a Value Assured Engineering approach to oversee the end-to-end solution, engaging the right specialist contractors at the right time in the process, to ensure quality on-time, on-budget delivery. Firstco have worked at London Heathrow Airport for 20 years and have been involved throughout the major airport development programmes and in day-to-day operations. At Fjøri we plan, design and advise on airport facilities worldwide, specialising in airfield infrastructure. 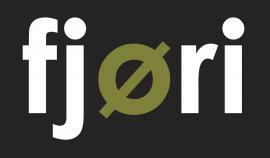 Fjøri provides expertise not just to end users, but also to the professional services and contracting sectors. This includes: airfield planning, airfield engineering, airfield environmental, airport pavement management, FBO and cargo centre airside planning, heliports, military airfields and aerodrome infrastructure advice. Independently owned, Fjøri continues to grow and invest, working for a strong client base at over 50 airports in the last 6 years, including in UK, Brazil, France, Italy, Japan, Oman, South Atlantic Islands, Ireland and the Middle East. With a combined experience of circa 200 airport projects, our professional team is a unique and exciting proposition. HKA is one of the world's leading independent providers of consulting, expert and advisory dispute avoidance and resolution services for the construction, manufacturing, process and technology industries. Our brand unites the former Construction Claims & Consulting Group of Hill International and associated subsidiaries. Following its sale and the de-merger in May 2017, HKA is now a privately-owned organisation with management equity, supported by Bridgepoint Development Capital, part of Bridgepoint, a major international private equity group headquartered in London, UK. For over four decades we've stood alongside our clients as trusted independent advisers, finding solutions amid uncertainty, dispute and overrun. Our people provide the consulting, expert and advisory insight that make the best possible outcomes a reality for public and private sector clients worldwide. Idom Merebrook Ltd is a multi-disciplined environmental and engineering consultancy with a proven track record of providing high quality, practical and pragmatic advice and designs to a wide range of clients across many sectors. Established in 1992, we have strong expertise and specialisms in different sectors including building, manufacturing, aviation, railway, and urban transport systems, providing services of aeronautical engineering, civil and structural engineering, architectural, MEP services, ground contamination, and health and safety. We are wholly owned by the IDOM Group, an employee-owned firm based in Bilbao, Spain. We are currently advising and designing airport infrastructure around the world, mainly in Europe, the Americas, and the Middle East, working on projects that involve: Masterplanning; Runway design and/or rehabilitation; Airfield signage re-designation; Environmental and sustainability improvements to existing infrastructure; New terminal buildings/ modification of existing buildings; and design of landside infrastructure. The LAIC Group (LAIC) is an organisation with extensive experience in providing solutions for the Aviation Industry for over 30 years. LAIC's Aviation division ICC Ltd provides the ATRAK© Suite of solutions. Working with Aviation partners, in particular with Air Navigations Service Providers and Airports, LAIC have delivered the Air Traffic Management, Air Traffic Control, and Air Transport industry with a range of Civil Aviation Authority and ISO9001 certified solutions and services, ranging from mission-critical to business management systems. LAIC headquarters are based in Lucerne, Switzerland with additional offices in the UK, Czech Republic, and France and comprise a team of dedicated technical industry experts and consultants, working in partnership and collaboration with their customers to ensure their needs are fully met. LAIC are committed to ensuring their customers be best equipped to meet the challenges that the industry presents them, today and in the future. The ATRAK© suite of solutions play an integral part in the role of overall air traffic management, for air traffic controllers and ANSP back office, finance, management and planning teams respectively. Our understanding of the aviation business enabled us to develop and integrated operational and financial data into real-world context, delivering meaningful information to support aviation business operations. The ATRAK suite of products provides advanced analytical tools addressing the most pressing industry and independent business issues. Based on a foundation of technical and industry expertise, who have been developing and implementing ATRAK Systems for all areas of ANSPs and Airports, LAIC's focus is now centered on its flagship systems: • ATRAK-AB© (Aeronautical Billing) • ATRAK-BPM© (Aeronautical Business Planning and Modelling) • ATRAK-AIM© (Aeronautical Information Management) ATRAK-AB and ATRAK-BPM systems deliver tangible business benefits immediately, have been designed to target focused business functions and requirements, and allow ANSPs and Airports to target their core business using CDM and SWIM concepts, maximising the return on their capital investment. ATRAK-AIM is the next generation AIM system, developed in line with ICAO's roadmap for transition from AIS to AIM, enabling safe and efficient global aeronautical information management that supports digital, real-time, CAA-accredited and secure data management. All of LAIC's solutions are fully flexible, scalable, modular, and secure. LAIC's agility and ability to rapidly deploy their systems leads to cusomers' increased productivity, optimised performance and safety, reduced overheads, and increased cost-effectiveness. Mackley provide a comprehensive range of services from conception through construction to project delivery. Throughout the entire process we add value through our industry experience and expertise. We pride ourselves on our ability to tackle potentially challenging projects which others might find daunting, and have built a solid client base through team work and a strong emphasis on complete client satisfaction. Since I formed Kaviar Aviation in 2012 I have completed several significant airport planning and design projects in the UK, Europe the Middle East, Asia and Africa. I have experience in all stages of Airport Terminal Planning - most recently this has involved Master Planning, and fast-track Technical Assessments of Terminal proposals - adding Value Engineering support for major clients to improve designs and reduce costs. From 2001 to 2012, I established Pascall+Watson's unique Airport Planning Team. From 1991 to 2001, I led TPS Consult’s specialist Airport Architects Group. I embrace sustainable, climatic design which combines local vernacular – ‘a sense of place’ - with the exciting design opportunities of modern air travel and construction. My aviation portfolio covers 140 projects in 40 countries including world class airport projects at Madrid T4, Heathrow T5, London City, Dublin T2, Zurich, Bahrain, Istanbul, Kansai, Kuwait, Lima, Madinah, Oman, Pulkovo, Riyadh, and Siem Reap.